Centre plate raised and lowered by winch. Four wheel launching trailer included. Boom tent and overall cover. Aluminium yacht legs for drying out. NASA digital log and echo sounder. The Tamarisk 19 is a solid, seaworthy weekender or pocket cruiser, with the ability to be trailer-sailed if desired. 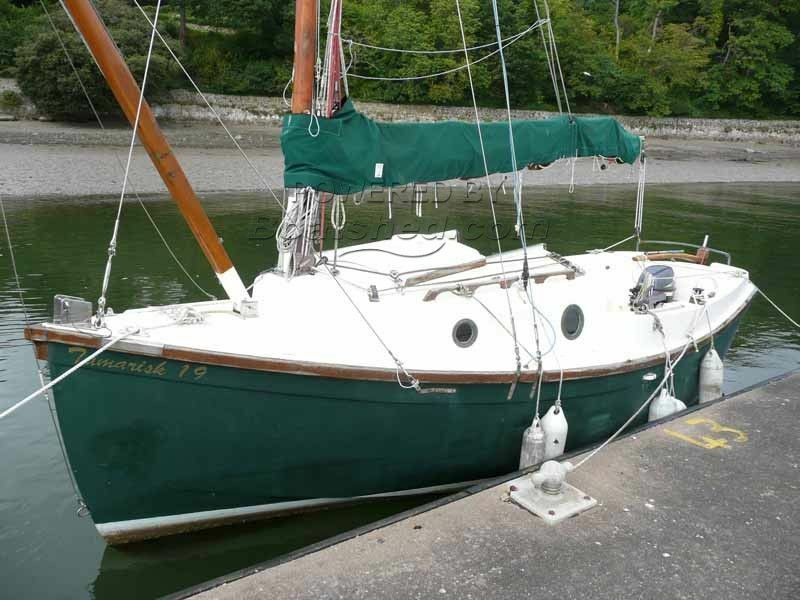 She is easily sailed single-handed if necessary, and provides comfortable sitting headroom and accommodation for three. She has a large cockpit that will seat four or more. This Tamarisk 19 has been personally photographed and viewed by Chris Tindall of Boatshed North Wales. Click here for contact details. Still available? And is the launching trailer also a road trailer? Thx.